Carl Phillips will make his road racing debut at the North West 200 in May on the ILR/Coverdale Paton. The 25-year-old will compete in the Supertwin races on one of Mark Coverdale’s Paton machines under the Ian Lougher Racing banner. Phillips, who stole the show with a four-timer at the opening round of the Ulster Superbike Championship at Bishopscourt on Saturday, is also on the lookout for a 600cc Supersport machine for the north coast road race, which takes place from May 14-18. 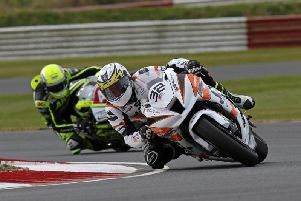 He made his racing debut on the Paton at the Co. Down circuit at the weekend, winning both races in commanding style. The Lisburn rider was on a high afterwards and described the Paton S1-R as one of the best bikes he has ever ridden. “I took on the Ulster Superbike Championship to do it for JMC Racing but I was looking at doing something else as well, and now I feel the time is right to do the North West 200,” Phillips said. “Every year I debated doing the North West but it just wasn’t the right time, but now I have no commitments in the British championship this season so it’s the perfect time for me now. “I have full concentration on learning the track and doing my homework,” he added. Phillips won the first Supertwin race on Saturday by over six seconds and increased his advantage in race two, which he won by more than 18 seconds from Carrick’s Ross Irwin. Afterwards, he said he was surprised by how good the Paton is as an overall package. “It’s just so nimble and it feels so solid, and it’s probably one of the best bikes I’ve ridden to be fair,” said the former BSB rider. “It’s fast and the brakes are good, but we still have to work a bit on the slipper clutch and corner entry, but other than that the bike is absolutely brilliant. Saturday’s opening round of the AJ Plumbing Supplies Ulster Superbike Championship was promoted by the Temple Motorcycle and Athletic Club. 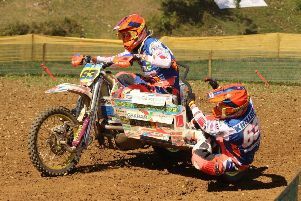 Round two will take place with the Enkalon Trophy meeting on Easter Saturday, April 20, promoted by the MCRRCI.